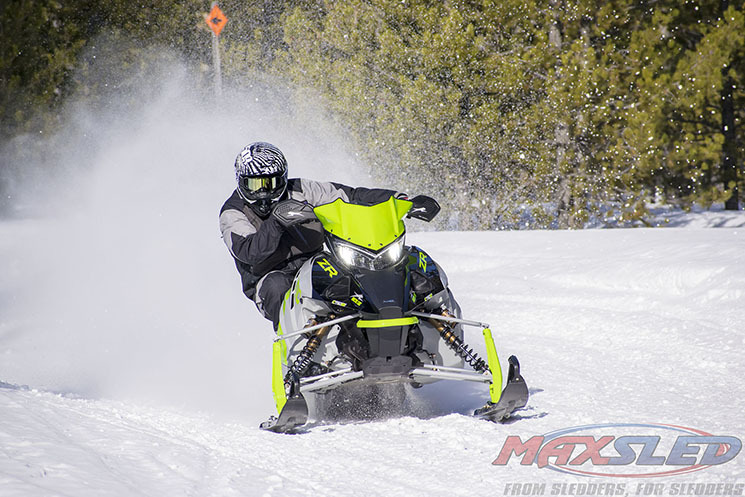 It’s a long-standing MaxSled tradition that our riders pick their personal favorites– and tell you why– after spending time on the new crop of sleds at Snow Shoot. 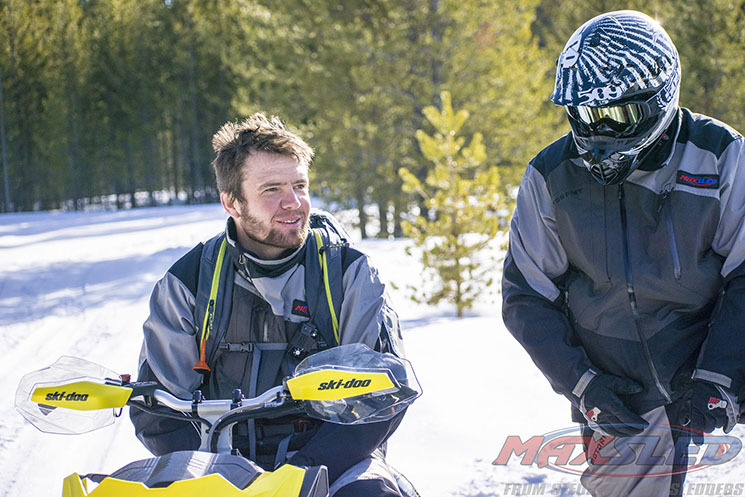 It’s the only time in a year that we can ride and experience factory sleds, set up with the best calibrations that each OEM’s factory engineers can muster. Every sled at Snow Shoot is dialed exactly as they should be at 6800 feet above sea level, with great snow conditions. Granted, there are always a handful of brand new prototype models that may or may not be at the top of their game, setup and calibrationwise. But our squad of riders has been to the event for the better part of a decade as factory reps and mechanics, so we’re pretty good at getting past the spin to judge a sled’s potential and identify its strengths. We’ll start publishing full-on sled articles starting next week. But for the next three days, you’ll get the straight deal on what the guys liked best in the Trail, Crossover and Mountain categories in their own words. No brand politics. No counting each manufacturer’s selections. Just the pure thoughts of the 5 guys who rode. Enjoy! 2018 Ski-Doo Renegade X-RS 850 137. 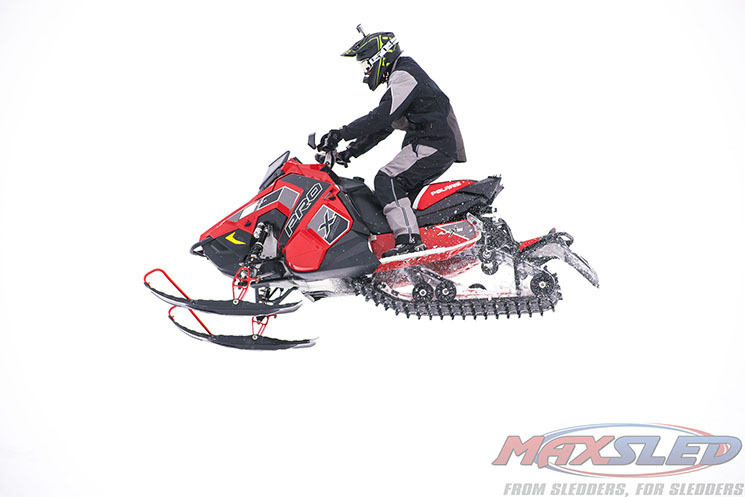 #1 Ski-Doo Renegade X-RS 850 137. Some may say this is a crossover sled but I really believe it’s the perfect trail sled for all your constantly changing trail conditions. 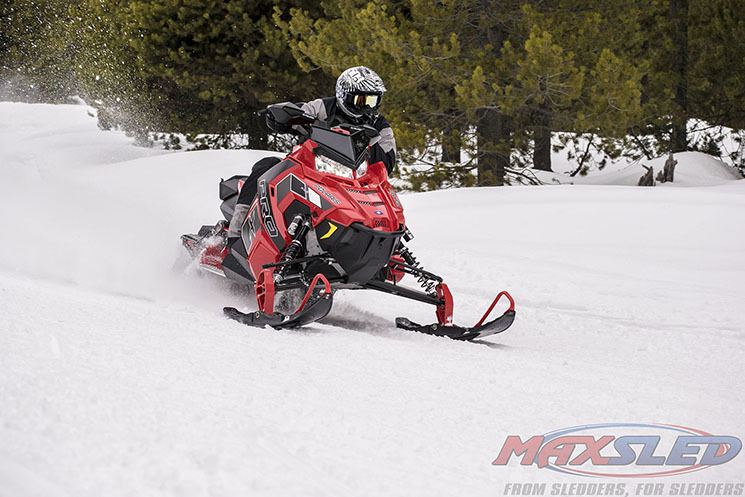 Flat cornering, light weight seat of the pants feel, superb ergonomics, big bump handling capabilities— and with the 850 E-Tec engine, what does this sled not have? It’s a blast! I know some do not favor Ski-Doo’s open style footwells, but after putting on a ton of miles I really like this setup for trail riding. 2018 Polaris 800 Rush Pro X. #2 Polaris 800 Rush Pro X.
It’s a true ditch banging sled. Big moguls are this sled’s best buddy, and with this sled being a bit taller than the Pro S, you feel so confident to hit any beat up trail, and your body doesn’t feel it. This sled really responds to rider input, the more you squeeze the throttle and position yourself from side to side, it makes you feel like you’re on a rocket. 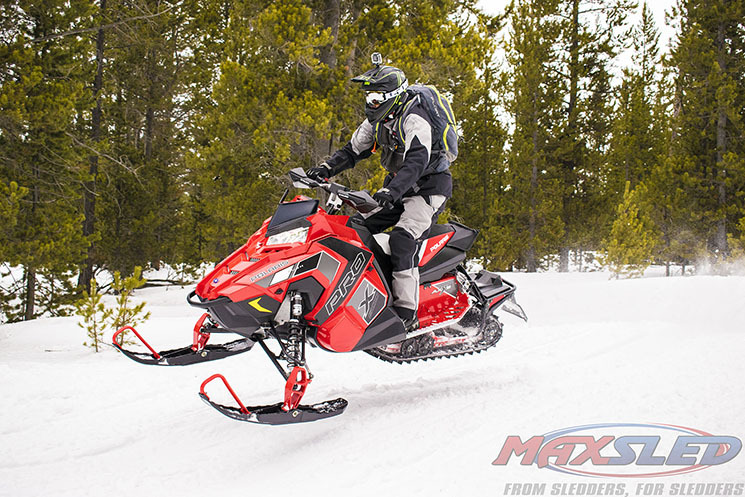 With instant throttle response, and a great working shock package, it’s kinda hard not to like this sled. I have to make a third pick because it needs to be noted, the Polaris Titan Adventure is no joke! I’d take one any day. 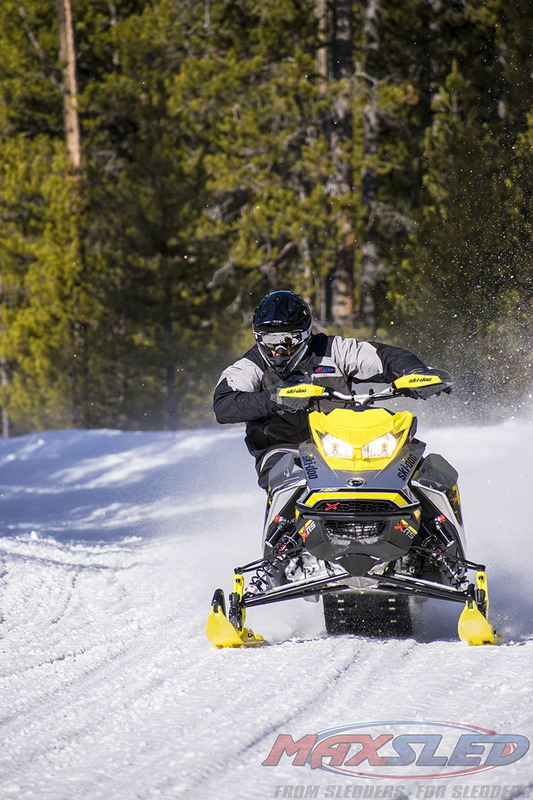 Besides being a utility type sled packaged in a sporty looking body, this thing handles awesome, and can hang with all other true trail sleds, and the best part is that you can deck out this sled with a ton of the Polaris lock ‘n ride accessories. Solo, 2up, or a workhorse can’t go wrong here. 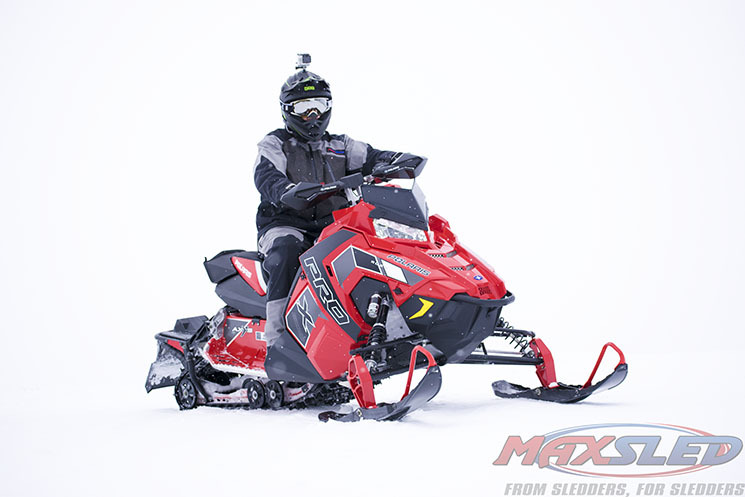 2018 Ski-Doo M XZ X-RS 850. 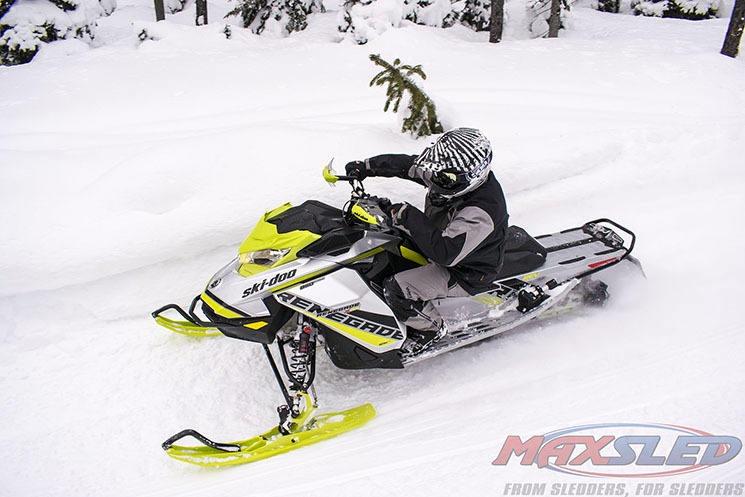 #1 Ski-Doo M XZ X-RS 850. This sled really reminded me of riding a motocross bike. It had me searching for the roughest sections of the trail, and anything in sight to jump! The suspension was that good. And being paired with the 850 motor, that pulls and just doesn’t stop, it was an easy favorite trail sled for me. I really noticed this sled was glued to the trail. There was no ski lift in corners even at pretty high speeds! I also really liked the controls, fit and finish of this sled. The gauge cluster was by far the nicest and most advanced in my opinion, having GPS, Bluetooth, and all the goodies. This thing flat out works on everything trail. From big bumps to stutter bumps. It even works great on perfect groomed trails. Very flat cornering, snappy engine, and light steering. Also love the easy adjustable suspension and ski adjustability!! Again, this sled had great trail manners. Flat cornering, good bump control and good motor. This sled was a blast! 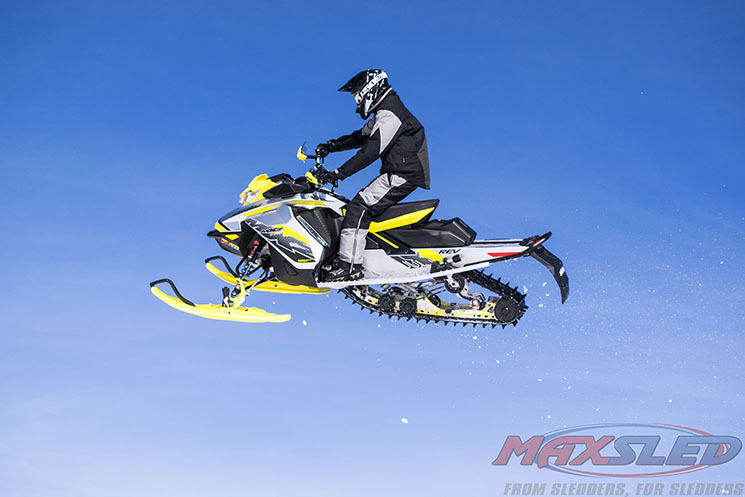 #1 Ski-Doo 850 M XZ X-RS. #2 Polaris 800 Pro X. 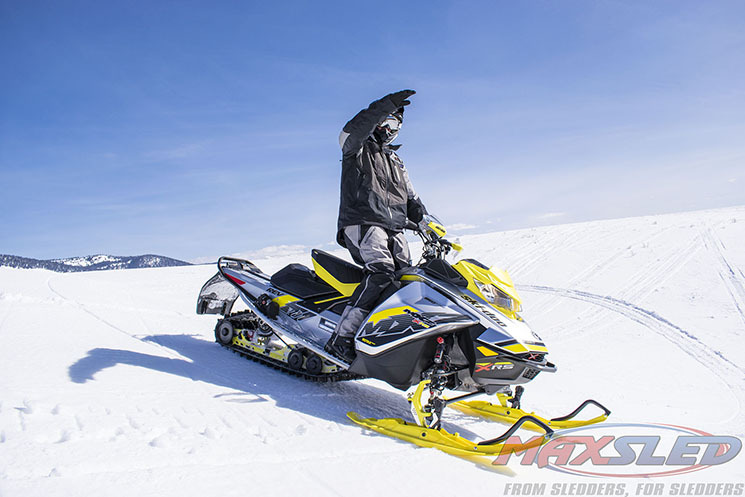 #1 Ski-Doo M XZ X-RS. Here’s a sled that is absolutely dialed in to its rider. The engine pulled like crazy, the clutching calibration was spot-on at elevation. When you tell the X-RS you want to go, it goes. When you tell it to turn left, kiss the apex of the corner and carry as much speed as physics will allow, it turns left, kisses the apex of the corner and blows your mind by exceeding the exit speed you thought was possible. 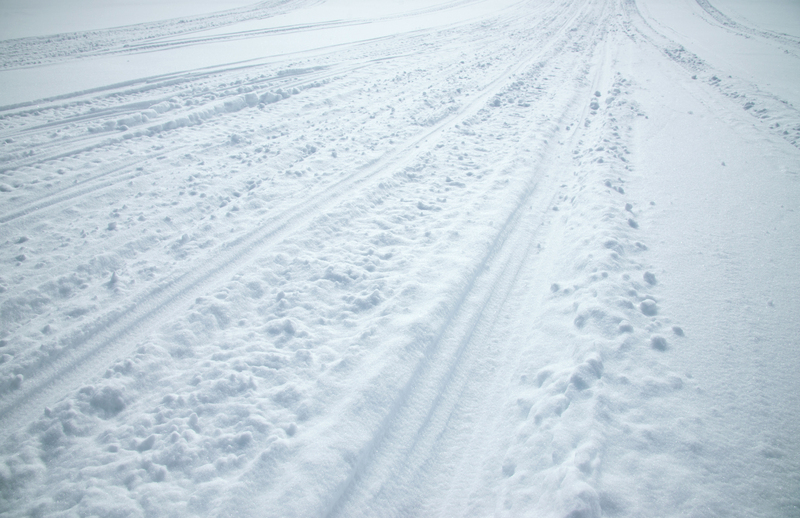 And that’s just the groomed and smooth trail experience. When the chatter turns to true trail junk, this is the sled you want to be on. New shock calibration was on the money for both chatters and big hits. The chassis is finely balanced to let you get up on top of the bumps and stay on plane, never getting squirrely or weird. It’s just a solid trail weapon. #2 Arctic Cat ZR 8000 RR. I’ve always enjoyed Cat’s chassis (except for one notable exception that has been thankfully retired for a good long time). The RR’s shiny, gold Kashima QS3 shock package is exactly what the market needs in my opinion: three easy-to-feel clicker adjustments that are simple to make on the trail. Most days I’m a comfortable 2, but there are days or times when a quick change to 3 is in order. I think it’s cool to have such an easy reference there. The driveline is impressive on the ZR 8000 RR as well. I like the new engine. I think it adds snappy response where you want it, with solid pull al the way to the top end. Of the 8000 trail sleds we rode, I thought this one was the best calibrated for the conditions. It seemed always ready to rocket off a backshift or rolling into a corner. So when you combine the quick new engine with a chassis that fits like a glove and always works, it’s pretty easy to call it a winner.